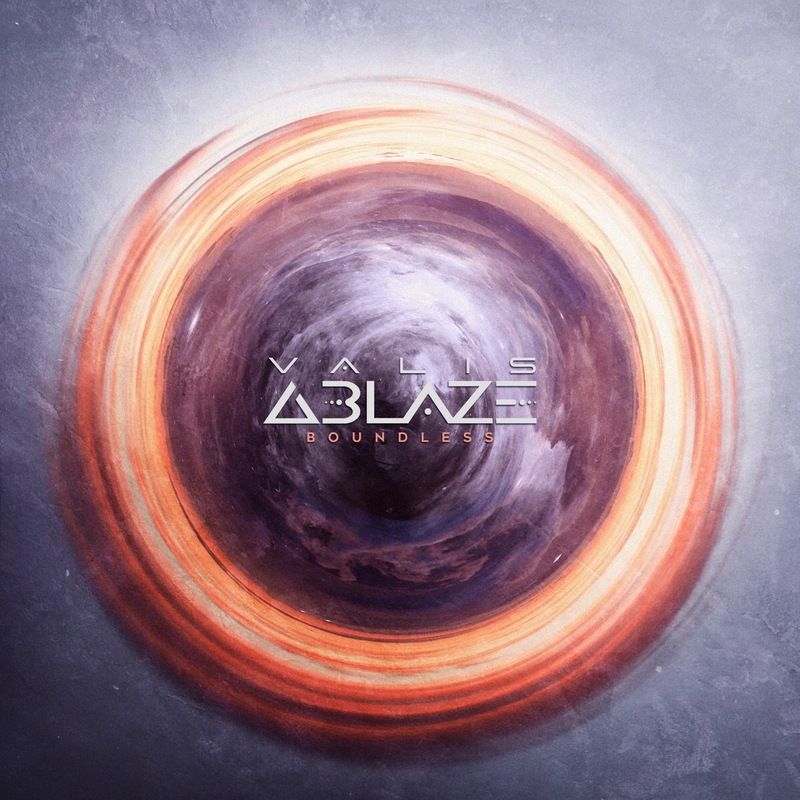 Valis Ablaze’s new album Boundless, is set for release on the 6th April 2018. The prog-metallers hailing from Bristol have grown quickly following the release of their first EP, Insularity, in 2017. The growth of their fan based was aided through performances supporting TesseracT, SikTh and a set at UK Tech Fest. The instrumentation is tight and well mixed from the start. Their new album opens with Afterlight, an atmospheric synth build-up instigates the track before introducing a bass melody. The heavy distorted guitars hit suddenly. All of the instrumental layers complement each-other and all are clearly audible in the mix. the presence of bass motifs is an interesting twist as the bass is not always given much prevalence. A synth motif at the end of the track transitions seamlessly into the following track, The Crossing, where a busy bass melody and off beat percussion rhythm create a busy sound under the more serene, sustained synth notes and vocal line. The heavy distorted guitar rhythm in the bridge of the track adds another layer to the track without disrupting the tone or offsetting the other instruments. Both of these tracks encompass similar motifs with the latter developing on the ideas of the first track, the serene tone explored creates an effective introduction into the album gently immersing the listener into the band’s sound. The album then progresses to heavier and darker tones with the following tracks. The contrast of the piano melody, distorted guitars and synth line in track three, Lumen, creates a dramatic and yet uplifting atmosphere. This track continues the use of bass melodies and riffs being prevalent in the mix. The pre-chorus features an explosive effect under the instrumentation further dramatizing the atmosphere. This tone creates an effective contrast from the first two tracks on the album which follow and develop on similar themes. The breakdown for this track has a powerful rhythm with a dissonant melody underneath. The return of the piano motif throughout the track brings back the serene, uplifting atmosphere amongst the heavier guitars, varying melodies and tones, cohesively drawing all the parts together. Evade is one of the heavier tracks from the start with a shorter synth introduction, leading into an explosive heavy guitar chord sequence. The distorted guitars have a greater presence throughout the verses of this track than on previous tracks on the album. The pre-chorus differs in tone and creates a contrast of serene atmosphere of vocals and synth lines against an emotionally powerful, explosion of heavy guitars and distorted vocals. The clean vocals on this track are very powerful through vocalist Phil Owen’s ability to sustain notes. The power and emotion behind these tracks is immense. The quality of each track is incredibly high; all the instruments are clearly audible, and the tonality has been perfectly chosen to match the theme of each track. All of the components of each track are performed perfectly. There are bands in existence with far more releases under their belts but do not have the quality of execution of Valis Ablaze. ‘Boundless’ by Valis Ablaze is released on 6th April on Longbranch Records.